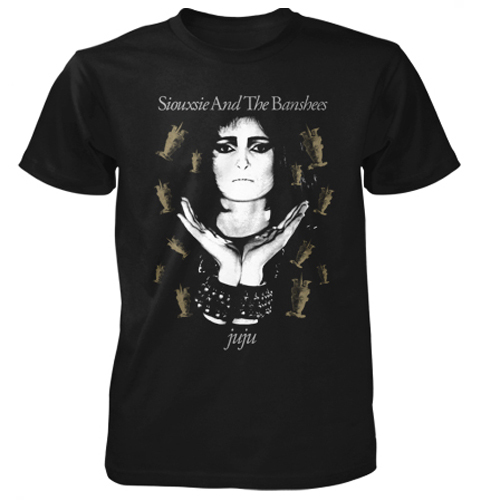 *NEW* Siouxsie and the Banshees Tee-Shirt for "The Scream" is now available in the official store. 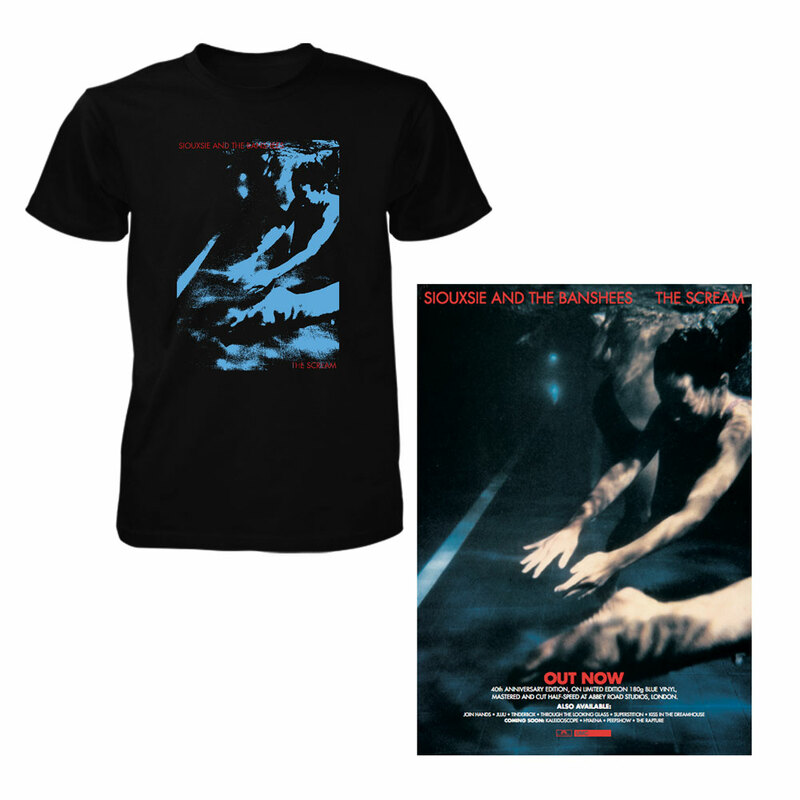 The first 75 orders will receive a free 70x50cm (approx) full colour in store promotional poster printed for the The Scream’s recent 40th anniversary vinyl release. 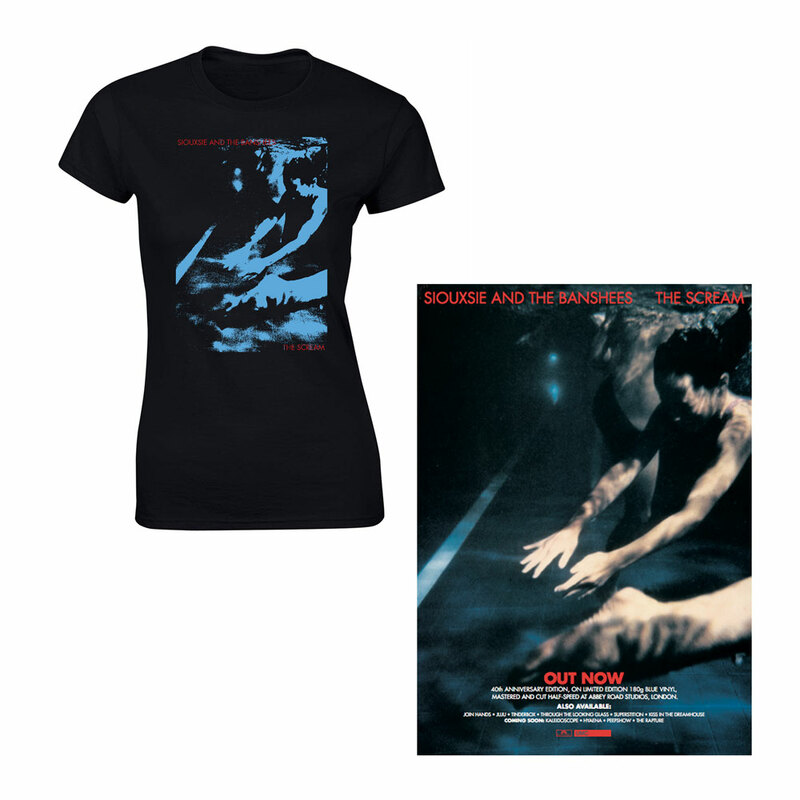 All orders received on or before 14th December for delivery in the UK should make it by Christmas but that cannot be fully guaranteed due to the postal service at this time of year, and anyone living outside the UK is unlikely to receive theirs before Christmas.